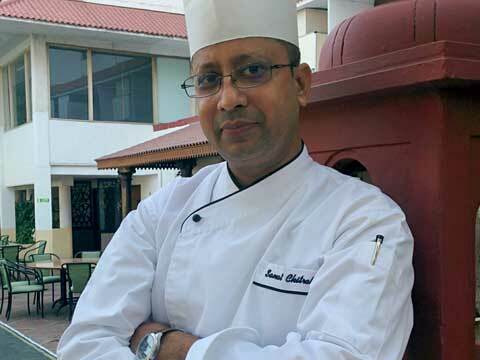 In an exclusive interaction with Restaurant India, Sanat Chitrakar, Sous Chef, Taj Banjara, shares how important is supply chain for a restaurant business. What all things come along with designing your restaurant menu? While designing the menu, I always consider the colour, texture and a perfect marriage of flavours of the ingredients. I always draw the composition of the plate in my mind, visualise the appearance, colours and flavour before putting a dish on the menu. And I try out each and every dish before it features on my menu. One always needs to keep in mind the tastes and preferences of the market you are operating, while striking a balance with the likes of tourists. Good supply chain management is very crucial for our industry, especially for perishable ingredients. Hence, we ensure that all precautionary measures are always taken to avoid any deviation in temperatures while transporting perishable food ingredients. We have vendors empanelled with us, who are certified by the government bodies, in order to maintain particular hygiene standards. We constantly conduct sessions for our associates as well as vendors to educate them and create awareness. The human senses are essential for an individual’s experience of different purchase and consumption processes, and they are vital when a consumer is making a decision. Good aroma within a restaurant can attract/repel your customers. Well balanced music and spacious restaurant is always a favourable condition to maintain. Most important is the presentation and taste of the food served which will decide your restaurant’s fate. We have three restaurants in Hotel Taj Banjara, including one specialty restaurant called Kabab-e-bahar, which serves authentic nawabi food. Chai Shop is based on the Iranian café theme serving street food of Bombay; whereas, Waterside Café is a multi cuisine restaurant open 24 hours. What is the contribution of good menu in restaurant business? How are new techniques in food helping restaurant grow? People usually remember and visit a restaurant for its food. Hence, a good menu and excellent quality food is the major contributor in restaurant business. Quality of service also plays an important role followed with ambience and location. Cooking food is a science as well as an art. There is no dull day in my life, since I became a chef. Food gives me so many opportunities to use my imagination and be as creative as possible. There are unlimited ways of using any food ingredient. Being a chef also helps me look at life from various angles. I started my culinary journey from Delhi. Being from a family of ‘Chitrakars’, I always wanted to do art, but one of my relatives suggested me to join hotel where art meets food! TajMahal opened the door of opportunity for me to step into the world of culinary. Since then I have worked with many masters of food like Chef Arvind Saraswat, Chef Arun Chopra, Chef Nita Nagraj, Chef Rajeev Janveja and Chef Tapas Bhattacharya. I have also travelled to the West side of the world through the Celebrity Cruises sailing along the coasts of Cuba, Paris, Alaska, Srilanka and Maldvies. Taj is an ocean of opportunities. They are coming up with a lot of new and innovative options within the fine dine segment and the company gives opportunities to us to be a part of it. So, I am looking at such avenues within the company. 'We are planning IPO route'..